The Committee on Publication Ethics has granted membership to JDAR for demonstrated integrity in scholarly publishing. Image: 12 january 2016 By Ashdin Publishing | Content Management Dept. 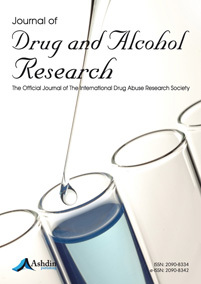 The official journal of the International Drug Abuse Research Society, JDAR is a peer-reviewed, open-access journal led by Editor-in-Chief Michael J. Kuhar of Emory University. It publishes original research, both basic and clinical, in the fields of drug, nicotine and alcohol abuse, along with reviews, protocols, news and views, and commentaries. JDAR’s editorial board is responsible for the peer review of every article submitted, along with a minimum of two outside experts. Manuscripts are published online as soon as they are accepted, helping to reduce the often-lengthy publishing times for research. For more information and to access the latest content published in the journal, visit the Journal of Drug and Alcohol Research on the Ashdin Publishing platform. to the Journal of Drug and Alcohol Research.